Note : Children below 18 years old not permitted. Mobiles, cameras, tape recorders, handbags, eatables not allowed. 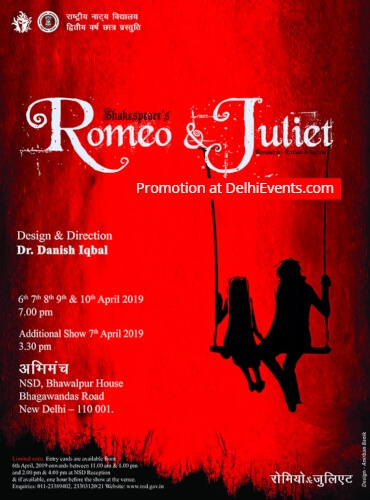 Event Description : THEATRE : NSD Second year students present Shakespeare's "Romeo & Juliet" Play.